What are leading CIOs reading this spring? We asked some of our Enterprisers and leading IT executives to share titles they enjoyed the most. The results include a diverse mix of books with subjects ranging in topics from gender equality to global security. Book Description: In business, performance is key. In performance, how you organize can be the key to growth. In the past five years, the business world has seen the birth of a new breed of company ― the Exponential Organization ― that has revolutionized how a company can accelerate its growth by using technology. An ExO can eliminate the incremental, linear way traditional companies get bigger, leveraging assets like community, big data, algorithms, and new technology into achieving performance benchmarks ten times better than its peers. 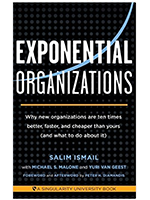 Why it's a must-read: "My favorite book of late is 'Exponential Organizations: Why new organizations are ten times better, faster, and cheaper than yours (and what to do about it)' by Salim Ismail. It shows clearly how we have to rethink how we build — and rebuild — companies to include a digital strategy and how information is the key to growth. It gives clear recipes that we can follow in restructuring our organizations for exponential growth" said Tom Soderstrom. 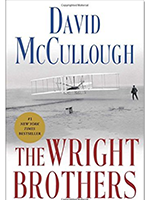 Book Description: Two-time winner of the Pulitzer Prize, David McCullough tells the dramatic story-behind-the-story about the courageous brothers who taught the world how to fly: Wilbur and Orville Wright. Why it's a must-read: "It’s an example of experimentation, examination, and focus to solve a really important problem that nobody else had solved," said Keith Collins. Book Description: Simon Sinek is leading a movement to build the world in which the vast majority of us are inspired by the work we do. Millions have already seen his video on TED.com about the importance of knowing why we do what we do. 'Start with Why' takes the concept even deeper. Why it's a must-read: "Businesses all over the world are transforming themselves. It's disrupt or be disrupted, and technology is at the heart of these transformations. As IT professionals, we're enamored with the technology and the roadmap — we dive quickly into the 'what' and the 'how.' 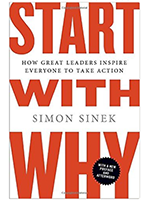 This book reminds us that as we inspire people, lead great companies, and embark on transformation, we need to start with the 'Why,'" said John Marcante. 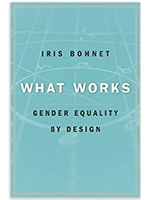 Book Description: Gender equality is a moral and a business imperative. But unconscious bias holds us back, and de-biasing people’s minds have proven to be difficult and expensive. Diversity training programs have had limited success, and individual effort alone often invites backlash. Behavioral design offers a new solution. By de-biasing organizations instead of individuals, we can make smart changes that have big impacts. Presenting research-based solutions, Iris Bohnet hands us the tools we need to move the needle in classrooms and boardrooms, in hiring and promotion, benefiting businesses, governments, and the lives of millions. Why it's a must-read: Simply put, Lee says it provides "useful, practical and affordable techniques for addressing gender inequality in your organization." 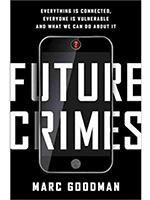 Book Description: One of the world’s leading authorities on global security, Marc Goodman takes readers deep into the digital underground to expose the alarming ways criminals, corporations, and even countries are using new and emerging technologies against you — and how this makes everyone more vulnerable than ever imagined. Why it's a must-read: "I heard him speak at a conference last year as the Chief Information Security Officer for Dell Computing. It was very compelling. I was given and read his book, which was an eye-opening experience. His premise is that everything is connected, everyone is vulnerable, and he shares what we can do about it. He talks about bad actors and how they are prospering in the digital underground ... the dark side of technology innovation. The book serves as an urgent call to action to take control of the technology in our lives before it is too late." said Nancy D’Amico. 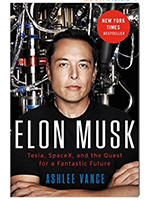 Book Description: In 'Elon Musk: Tesla, SpaceX, and the Quest for a Fantastic Future,' veteran technology journalist Ashlee Vance provides the first inside look into the extraordinary life and times of Silicon Valley's most audacious entrepreneur. Written with exclusive access to Musk, his family, and friends, the book traces the entrepreneur's journey from a rough upbringing in South Africa to the pinnacle of the global business world. Why it's a must-read: "One of the today’s most daring technology and business leaders shares his story in a book that inspires to do meaningful work. Elon Musk is the definition of daring greatly: instead of finding better ways to do tested things, he ventures onto paths that others deem impossible or too difficult to do in a person’s lifetime. Musk is taking on the big oil industry with Tesla and wants to make space travel a reality during his lifetime. It’s hard not to get inspired by his vision and, most importantly, his dedicated execution on his dreams. Personally, to me, this book showed how nothing is impossible, and with hard work and dedication anyone can make an impact on this world," said Szabolcs Szakacsits. 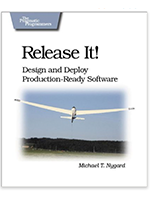 Book Description: In 'Release It!,' Michael T. Nygard shows you how to design and architect your application for the harsh realities it will face. You'll learn how to design your application for maximum uptime, performance, and return on investment. Mike explains that many problems with systems today start with the design. Why it's a must-read: "The success of a company depends on upon its ability to deploy reliable software that serves customer needs. I read this book on the recommendation of Adrian Cockcroft (chief architect of Netflix's cloud services) while doing research about microservices. This book helps establish some of the fundamental concepts architects should keep in mind as they design software and the backing infrastructure. While not specifically about microservices, this book can be helpful for anyone looking to utilize old or new styles of architecture as it teaches you about some of the fundamentals of system design and how at the end of the day, you want to make sure your system handles failure well, because everything in the system will inevitably fail — it's not just about making sure you pass automated tests. The author also does a good job of entertaining storytelling around useful real-world examples," said Victor Cheng. 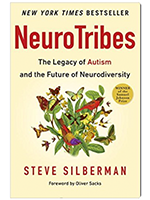 Book Description: A New York Times bestseller and Winner of the 2015 Samuel Johnson Prize for non-fiction, this groundbreaking book upends conventional thinking about autism and suggests a broader model for acceptance, understanding, and full participation in society for people who think differently. Why it's a must-read: "The book's genesis was an article written for Wired in 2001 called 'The Geek Syndrome.' It discussed the purported prevalence of Asperger's syndrome and Autism (now both replaced with Autism Spectrum Disorder) among the families of Silicon Valley engineers and how they may be an important part of the fabric of humanity. The argument that a perceived weakness can actually expose important strengths is expanded in NeuroTribes with a concept called neurodiversity, a truly great catchphrase that almost explains itself. I'm not sure how much I buy into the geek syndrome theory, but I do believe everyone has something to contribute and those different ways of thinking and being are important to any large endeavor. Even within a group of people that would be classified as 'Neurotypical' by the neurodiversity movement, it can be difficult to perceive differences as strengths. It is also compelling to see how this group of people has been treated through recent history. With 20/20 hindsight the cast of characters can seem terrible, though their beliefs at that time were prevalent and considered reasonable. Rather than judge the villains, it is an important reminder that our own current beliefs may be suspect. An open mind and some skeptical self-doubt are a good thing. To really shake your head up, read the recently released 'In a Different Key,' which covers a lot of the same ground but often has completely different takes on the same events," said Stuart MacDougall. Book Description: People are using this simple, powerful concept to focus on what matters most in their personal and work lives. Companies are helping their employees be more productive with study groups, training, and coaching. Sales teams are boosting sales. Churches are conducting classes and recommending from the pulpit. By focusing their energy on one thing at a time people are living more rewarding lives by building their careers, strengthening their finances, losing weight and getting in shape, deepening their faith, and nurturing stronger marriages and personal relationships. 'That depends on a good deal on where you want to get to,' said the Cat. The interaction with the Cheshire Cat shares a great lesson – it reminds you to have a purpose and committing to it with every decision, at every meeting and during every interaction or risk going the wrong direction every day. The authors go on to effectively and creatively drive home the concept that productivity is really a small by-product of combining a purpose and a commitment to prioritizing one thing every day to accomplish that purpose. Also very helpful, Gary walks you through the traps of our daily 'To-Do-Lists,' which he relabels 'Survival Lists' and gives you practical steps to take to escape these traps. 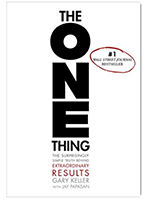 Lastly, the authors introduce the concept of the guiding One Thing question: 'What is the one thing I can do (purpose related) right now such that by doing it everything else will be easier or unnecessary?'" said Eddie Fox. 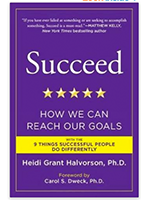 Book Description: In Succeed, award-winning social psychologist Heidi Grant Halvorson offers counterintuitive insights, illuminating stories, and science-based information that can help anyone: set a goal to pursue even in the face of adversity, build willpower, which can be strengthened like a muscle, and avoid the kind of positive thinking that makes people fail. Whether you want to motivate your kids, your employees or just yourself, Succeed unlocks the secrets of achievement and shows you how to create new possibilities in every area of your life. Why it's a must-read: "We have all been brought up with the notion that believing is the key to achieving success. Heidi Halvorson tests this belief scientifically and concludes: you have to be an optimist without being a fool. Halvorson posits that goals are achieved not just by visualizing success — one must also acknowledge the arduous path to get there and put a plan in place to get past the tough obstacles along the way. Whether you are trying to motivate a team, complete a project at work or impart a lesson to your child, her book provides a blueprint for how best to achieve the goals you’ve set," said Kiran Bondalapati. 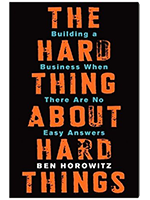 Book Description: Ben Horowitz, cofounder of Andreessen Horowitz and one of Silicon Valley's most respected and experienced entrepreneurs, offers essential advice on building and running a startup — practical wisdom for managing the toughest problems business school doesn’t cover, based on his popular ben’s blog. Why it's a must-read: "There is no shortage of books covering the strategies that ambitious entrepreneurs employ to build great companies. Likewise, there are plenty of management books that offer illuminating philosophy on what it takes to be a good CEO. Those two paths merge in this book by Ben Horowitz, co-founder of Andreessen Horowitz, who expertly combines his first-hand entrepreneurial anecdotes with thought-provoking insight. By using his own experiences and giving enough back story on himself to ensure that the message hits home, this book is a step apart from the masses of management self-help guides. Ben Horowitz’s book is a must-read for any executive hoping to gain an inside look into the making of one of the tech world’s top influencers," said Simon Taylor.